Sadhana Yoga is the yoga of spiritual practice. Even though it is derived from different yoga traditions, Ashtanga Vinyasa, Sivananda, Iyengar, etc., but it is designed beyond the forms and traditions. It focus on the essence of yoga tradition which is an instrument to reveal the truth of our existence, the spiritual being. It has three levels. The first level of practice is the foundation and it has a routine of fundamental postures linked with transition breath and sequences. The second level is the modification, based on the first level postures and the sequence. The students start Â modifying the existing postures to more difficult or easier level. The third level is the integration. Students start integrating the learned routines with personal practice. So the personal practice and teaching become meaningful pertinent to his or her understanding of the yoga. 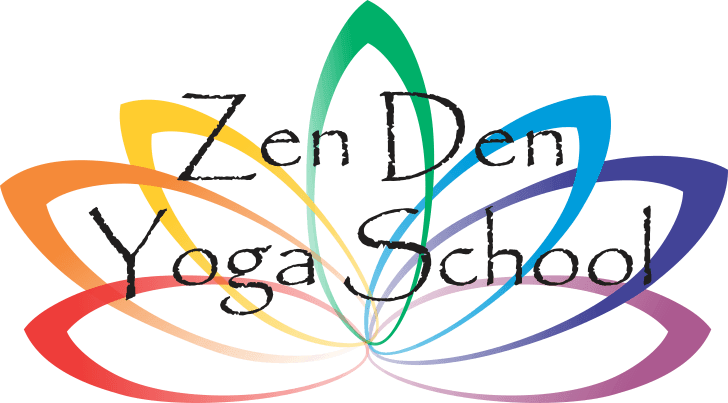 So there is no longer a form of Yoga from Zen Den Yoga School Institute but the true connection to yoga and self-understanding of the yoga. It becomes a spiritual practice for each student. Sadhana Yoga has many different routines, such as Sadhana Vinyasa Yoga, Sadhana Hatha Flow Yoga, Sadhana Gentle Yoga, Sadhana Restorative Yoga, and Sadhana Shamanic Yoga, etc. Whatever the routine we create is for the purpose of spiritual practice as well as to accommodate the demands of the market place. Each routine has similar components and steps. The typical routine and sequence of Sadhana Yoga is following. Warm up including, gentle stretches in sited, knell, standing position, and sun salutations (see training manual). Lesson Focus including standing sequence and sited sequence (see training Manual). Close sequence including a series of posture designed to work on each chakra from the top to the bottom (see training manual). Relaxation involves students in corps pose or in yogi pose processing three stages of relaxation. The first stage is to use progressive muscular relaxation from the toes to the head, then use auto-suggestion to let go the tension of body from toes to the head and let go the tension from internal organs. The second stage is to relax the mind and bring the mind into a state of no thought. The last stage is the spiritual relaxation where there is no thought only the sensation of vastness emptiness of universe. Connection to the theme of class with summary statements or spiritual healing concepts. Chanting on the name of spirit to express the gratitude and thanks. Sadhana Vinyasa Flow Yoga is the yoga of spiritual practice based on Ashtanga Vinyasa tradition. Each posture is linked and connected with inhalation or exhalation of breath and a vinyasa sequence. Each pose typically holds between 5 to 10 breaths then followed by a breath-connected vinyasa before the next pose. Move with breath and grace. 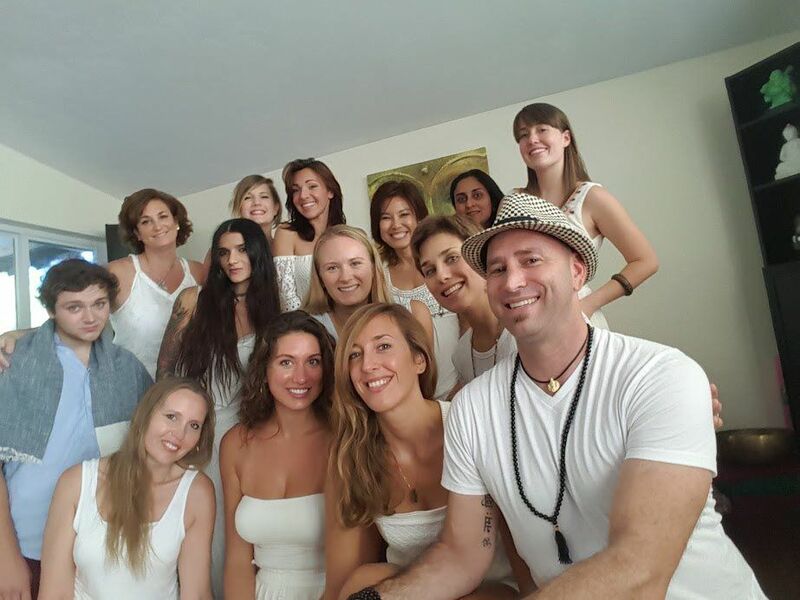 Sadhana Hatha Flow Yoga is the yoga of spiritual practice based on Sivananda Classic Yoga Tradition. Each posture holds for a long period of time up to 15 minutes so that each pose become a pose of meditation. This tradition starts working from the top chakras to the bottom chakras which is the only unique style of yoga has such a design. After the warm-up, sun salutation, and leg raises, practice headstand or modified headstand to channel the energy into the crown (Sahasrara) chakra, then move down to child pose (Ajna Chakra), to shoulder stand (Vishuda Chakra), to Bridge or Wheel and Fish poses (Ahahata Chakra), to sited forward bend (Manipura Chakra), to cobra, locus, and reverse wheel poses (Svadisthana Chakra), and to standing poses (Muladhana Chakara) in the end to finish the sequence.